Richard Rowland, Recusant History, 2014 (Vol.32, No.2, 240-242). The first thing a reader of A Jacobean Company will notice is the meticulous rigour with which Griffith has assembled and documented the enormous amount of archival research required to make a project such as this one successful… From the first pages, Griffith presents, clearly and unfussily, new evidence that vastly complicates and enriches our understanding of the Red Bull’s origins and its position in the social and cultural milieu of Jacobean London… Time and again, Griffith uncovers new evidence that makes us question prevailing orthodoxies in theatre history. Thus, by examining hitherto unnoticed legal documents, she proposes that the sense of an irrevocable split between the impresario Christopher Beeston and the Red Bull company he had helped to shape, from the moment he transferred his energies to the newly-built Cockpit playhouse in Drury Lane, is in need of a radical revision (pp. 70, 235–241). 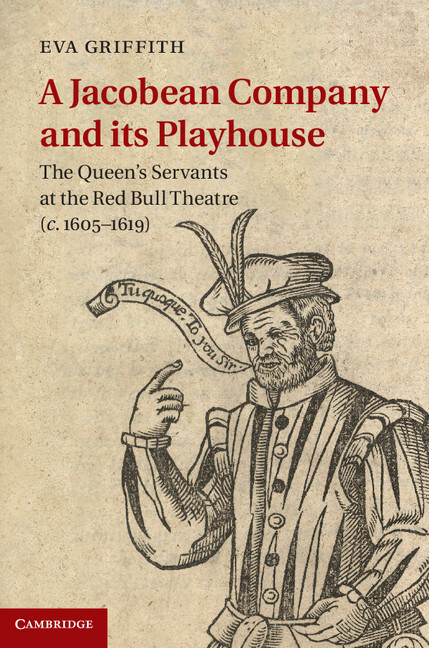 Instead, Griffith establishes a detailed and nuanced account of the remarkable fluidity that characterized relations between ostensibly different playing companies and spaces; with a clarity at once unprecedented and unanswerable, she shows, for instance, how the Curtain playhouse may have been as vital to the Queen’s Servants operation as the Red Bull itself, and even makes a plausible case that Webster’s The White Devil, the first performances of which have been unequivocally assigned to the Red Bull… could well have been given at the Curtain (p. 94). A Jacobean Company busies itself with the minutest details concerning the fabric of the playhouse and its immediate environs, and with the almost incestuously close if fluctuating – and not infrequently litigious – relationships of those who lived and worked within them. The book offers new ways of reading both the plays that the Red Bull generated and nurtured and, equally importantly, it demands that theatre historians rethink their understanding of women’s agency – as patrons, as workers and as significant financial players – in the operations of an early modern theatre company. Eva Griffith’s monograph will become, rightly, the standard work on the Red Bull for many years to come, but it has much to teach anyone interested in this, the most vibrant and sophisticated period in English theatrical history. Latest news about Red Bull plaque hopes!